FurBliss is the revolutionary multi-function pet brush recommended by veterinarians. The Swiss designed furbliss™ brush is the most versatile pet brush available. It provides a gentle and calming brushing action that massages your pet and will leave them in pure bliss. It also desheds, removes sebum & dander, and leaves the coat shiny and healthy. The furbliss™ brush is also the perfect brush for bath time and can be used wet or dry. The back side of the furbliss™ brush works well to help loosen fur and is also a highly effective tool to remove fur & lint from clothing, furniture, and auto interiors. Recommended by veterinarians, pet parent tested, and loved by pets... this brush is simply furbliss.™ Benefits: Deep Cleaning Use Wet or Dry, Perfect for Baths Stimulates & Nourishes the Coat Provides Comforting Massage Desheds 100% Medical Grade Silicone Attracts Fur Dishwasher & Washing Machine Safe. Made in USA Directions: Use top of brush to gently massage & brush pet. Can be used in multiple brushing motions. Backside of brush can be used for deshedding & removal of fur & lint from clothing & furniture. To clean, simply run under warm water or place in dishwasher or washing machine. 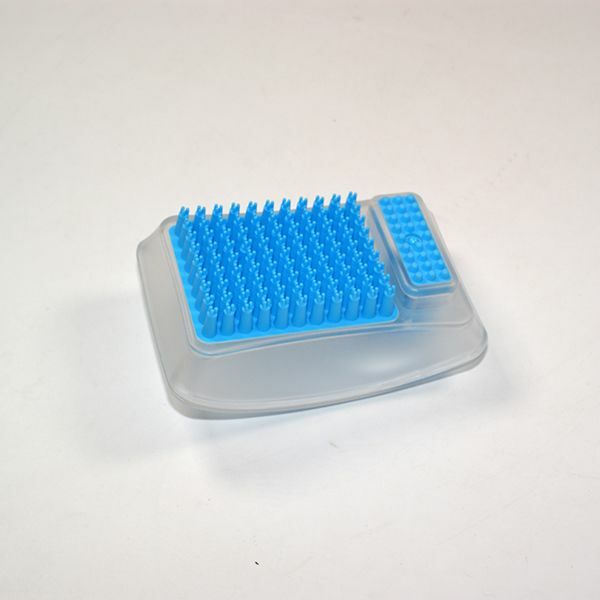 Looking for ideal Grooming Brush Massage Manufacturer & supplier ? We have a wide selection at great prices to help you get creative. All the Fur Clean Pet are quality guaranteed. We are China Origin Factory of Pet Massage Bath Brush. If you have any question, please feel free to contact us.